I hope you all are having a good week! It’s almost the weekend. We can make it!! Sometimes you just need something that looks like you are put together, but feels like you are in your p.j.’s. That is this look! 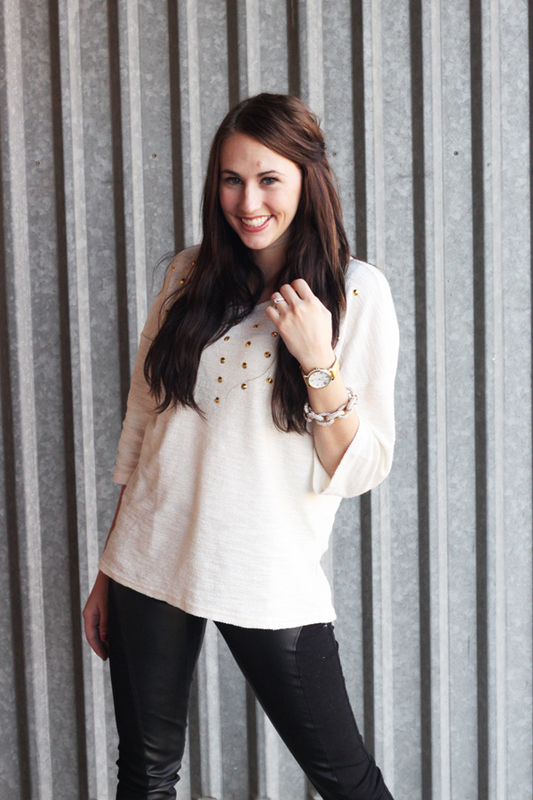 This top from Sugar Love Boutique is super light weight (perfect for right now!) and so comfy! I paired it with these leather leggings and wedge tennis shoes to make it a little bit of a more rough look. I love that you could make this look feminine with some heels and some skinny jeans! What’s your go to outfit that looks put together, but you feel like your in your p.j.’s? Oh one more thing! Böhme has all their clearance 70% off! Trust me there are some amazing deals! I got 13 pieces and the most expensive one was only $11.55! Wahoo! Go check it out, you can thank me later! Previous Post: « Fiskars crafting tools: Champions for Kids! A MUST READ! Fabulous look! 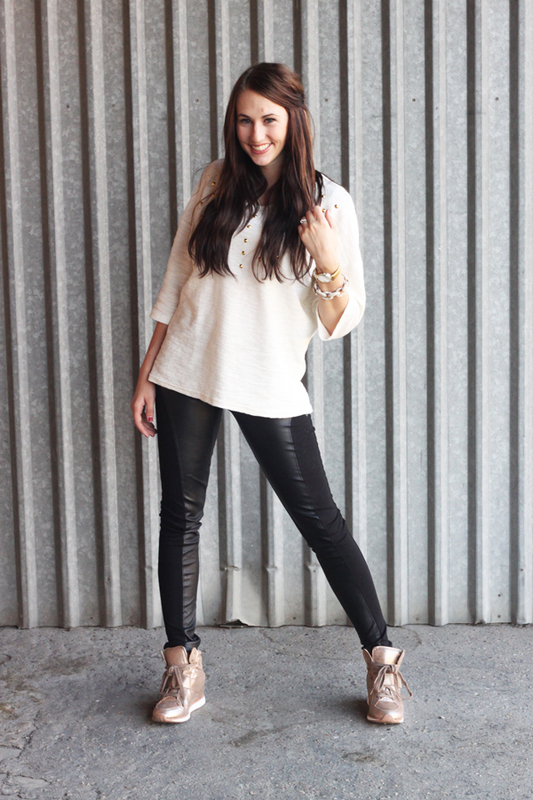 I am in love with leather leggings and have a similar pair from Cotton On! 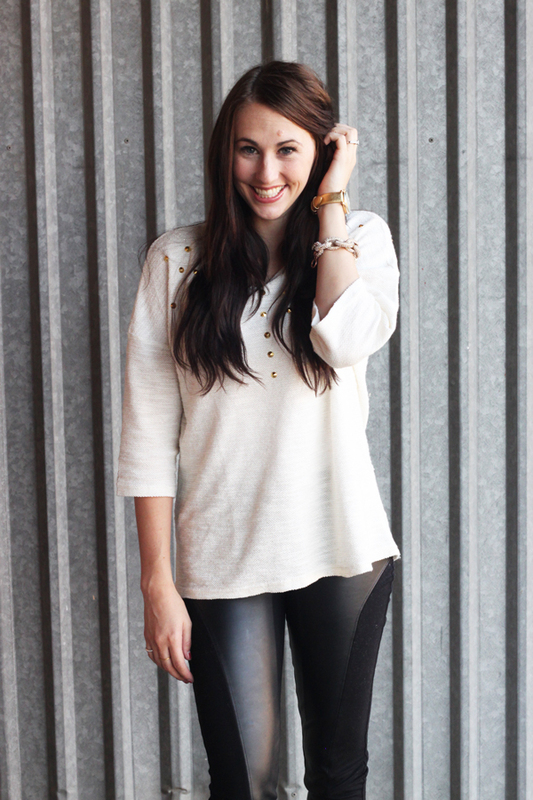 I also love how you paired this outfit with sneakers….too cute! I love wedged sneakers! They are so comfy!! And yes! 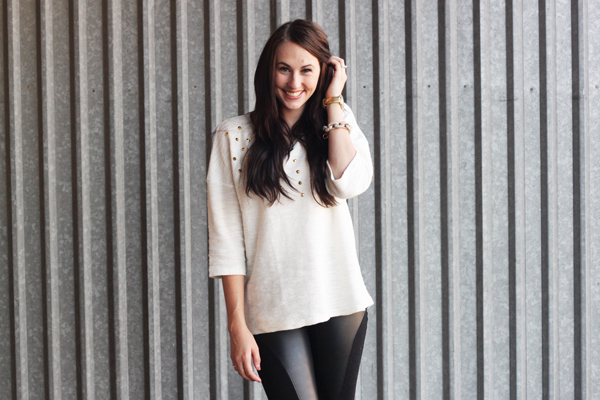 Leggings are the greatest for fall! You should totally get some girl!! They are my favorite things! You are so welcome! Glad you got some things! !